Jenn Zeller is the creative mind and boss lady behind The South Dakota Cowgirl. She is an aspiring horsewoman, photographer, brilliant social media strategist and lover of all things western. After a brief career in the investment world to support her horse habit (and satisfy her mother, who told her she had to have a “real” job after graduating college), she finally took the leap and stepped away from a regular income; trading the business suit once and for all for cowgirl boots, a hat, and jeans. She has not looked back. When Jenn first moved to The DX Ranch on the South Dakota plains, she never imagined she’d find herself behind a camera lens capturing an authentic perspective of ranching, and sharing it with others. Jenn has always been called to artistry, and uses music, writing, images, home improvement, and her first true love of horses to express her ranching passion. 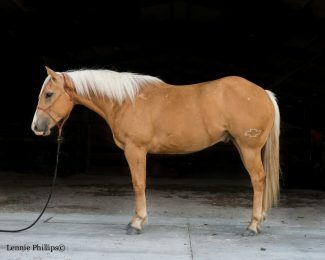 Horses are the constant thread and much of her work centers around using her unique style of writing to share her horsemanship journey with others She also serves as a brand ambassador for Woodchuck USA, Arenus Equine Health, Triple Crown Feed and Just Strong fitness apparel. Her photography has been featured by Instagram, Apple, TIME Magazine, The Huffington Post, and Oprah Magazine. Jenn’s work has been published internationally, has been seen in several books and has graced the covers of several magazines. When she’s not working, she loves to drink coffee, play with her naughty border collie named Copper, start ranch colts, and run about the country chasing cans. Her mother still thinks she doesn’t have a “real” job. ©2013 - 2019 Swift Communications, Inc.